My friend Linda is in Paris looking after her daughter who is finishing her school finals there. (What a good mom!) 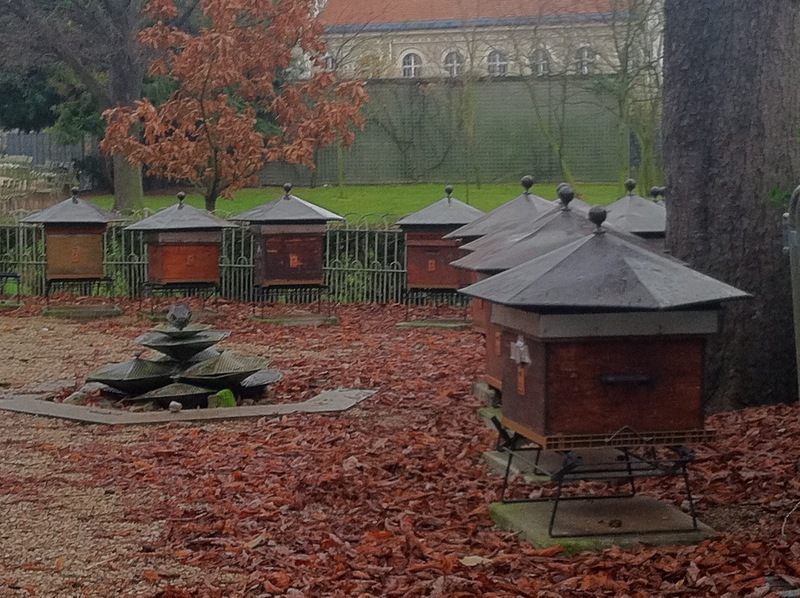 In her spare time she's exploring the city and came across these beehives in the Luxembourg Gardens. The apiary school, called the Rucher du Luxembourg, was created by the Société Centrale d’Apiculture on the Senate estate in 1856, and it still holds classes and produces honey from its hives. It sells its bounty once a year at an annual autumn honey festival at the garden’s Orangerie or nursery.